In 1915, male voters in Massachusetts were asked to decide on an amendment to the Massachusetts Constitution that would strike the word “male” from the article that gave men the right to vote. In response to the upcoming vote, the Massachusetts Woman Suffrage Association organized a pro-suffrage parade on Saturday, 16 October 1915, involving some 15,000 marchers and 30 bands. The parade route began at the corner of Massachusetts Avenue and Beacon Street; marchers made their way past the Public Garden, Boston Common, and the State House before proceeding up Tremont Street and Saint James Avenue to Huntington. The parade ended at Mechanics Hall where a pro-suffrage rally was held. You can see the digital version of the broadside and my accompanying text over at the Massachusetts Historical society website. 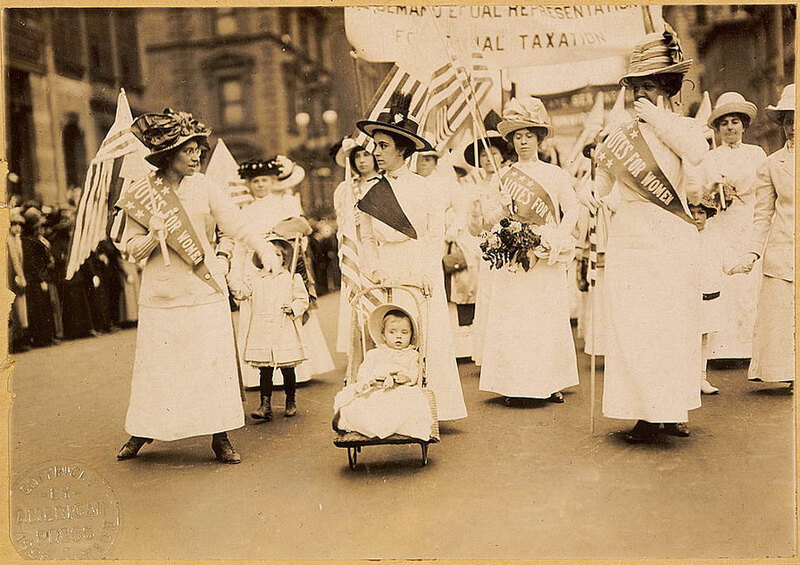 image credit: Suffrage parade, New York City, 6 May 1912, made available at Wikimedia Commons; image is in the public domain.